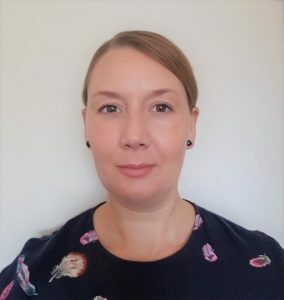 Nicky is a Health and Care Professions Council (HCPC) registered Clinical Psychologist who predominately works using Acceptance & Commitment Therapy (ACT), Cognitive Behaviour Therapy (CBT) and Compassion Focussed Therapy (CFT). Having worked in the NHS for over 10 years she has helped people overcome a range of difficulties such as depression, anxiety, OCD, low confidence, grief and those associated with physical health. Nicky currently works here at Openforwards every Thursday evening. Nicky has held an interest in psychology from the age of 16 years, and after years of working in a variety of jobs decided to return to full-time education at the age of 21 years to pursue a career in psychology. After an undergraduate degree Nicky worked in various Assistant Psychologist roles from brain injury rehabilitation to eating disorders, before commencing her doctorate. Nicky completed the Doctorate in Clinical Psychology in 2014 and has worked full-time in the NHS since. Her roles have included primary care mental health and physical health care settings. Since qualifying Nicky has taken an interest in ACT attending several additional training workshops around this and is registered with the Association for Contextual Behavioural Science (ACBS).